More and more people are using smart phones or tablets to access the internet, and many businesses do not realize how many people are accessing their website through mobile devices. Having an interactive, responsive website that works with phones and tablets is essential. Discussing topics like increased use of mobiles, mentioning the future of their business, changing the tide of bad numbers, and reading between the lines will help web designers talk to businesses about responsive web design. Before website revamping begins it is important to see if the client wants a mobile presence and to check the numbers to see if their site visitors actually use mobile devices to look at their website. Google Analytics, for example, can show you a detailled break down of devices and screen sizes used by web site visitors. Communicating with your client is extremely important when beginning business because they know their customer base better than anyone; they will also be able to express any problems or concerns that they have been having with their website. Often older websites will be less responsive and that gives designers a chance to discuss mobile technology. Creating a responsive website will not only help users of desktop PCs with different screen sizes, but it will help those users using mobile devices as well. A common problem that many people have when looking to redo their website is that clients want their websites to look big on both large and small screens. This is a result of desktop monitors becoming larger and larger, which makes older (fixed width) web sites look small. For several years, when most screens had a 1024 pixel width, a fixed web site width of 960 pixels was quite common. In today’s larger (desktop) screens that leaves a lot of empty space. By addressing this problem, the mobile question doesn’t necessarily come up, but the question is answered by having a responsive website. Discussing the future and trends in use of mobiles is a great way for agencies to bring up responsive web design, and it will help agencies to get additional business. But: talking about mobile web design tends to limit a client’s focus to just tablets or phones. In that case it’s a good idea to remind the client that having a responsive design will allow the website to reflow to any device. Businesses big and small like hearing that even if they do not get a lot of mobile traffic right now, but if they have a responsive web site they may be able to draw in more business through the mobile platform. 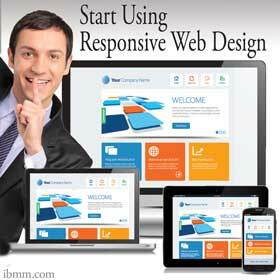 Also, having a responsive website alleviates many other problems for the client. Clients, who are less than thrilled about paying for mobile design, often have numbers that show how few people access their website through mobile devices. Many businesses who update their business website to be more responsive will see mobile numbers go up. Having an improved experience on one platform tends to have the same effect on other platforms. Talking with professional web developers can alleviate any kind of question or concern that a business might have. For some businesses who don’t want to hire a designer 1&1 website maker is a great way to improve their website and make it more responsive. By having a website that works on all platforms your clients will not only increase the experience for their current customers but it will create new business; this fact often gets overlooked because it is so hard to measure. According to the Technology Association of Iowa, 62% of businesses who had designed a mobile specific website saw an increase in sales. More and more people are accessing information through mobile devices and having a responsive mobile website will prevent potential customers from going on to a competitor. Businesses are becoming more aware that having a responsive website can lead to a better customer experience. Web developers can sell the service to businesses, it’s a great angle to sell a web site re-design and re-launch. 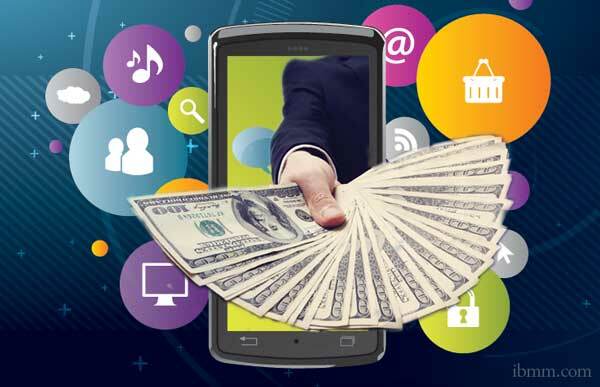 Great article on needs of responsive web designs for small business. Keep it good work. Good advice! !Thanks for sharing. Entrepreneurs are a curious bunch as they are determined to succeed, but might not have the attention span to focus on the details. I like the idea of creating a responsive website.